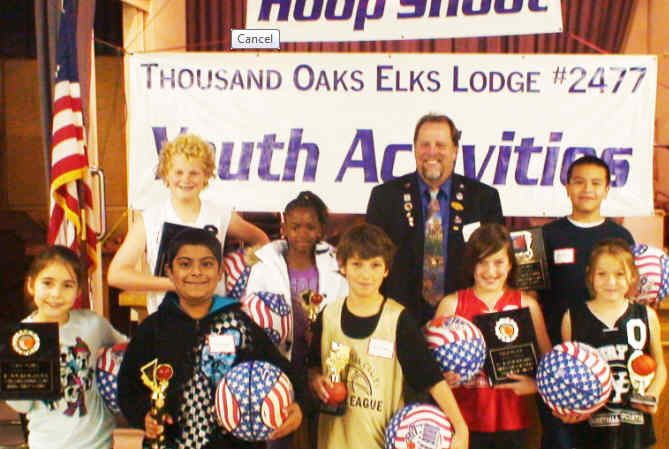 The Elks “Hoop Shoot” Free Throw Contest is the largest and most visible of the many youth activities sponsored by Elks Lodges. 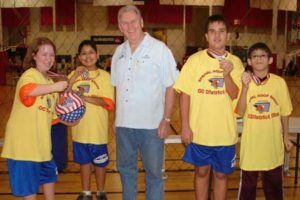 The Elks National Free Throw Program is open to all boys and girls, ages 8 through 13, regardless of race or creed. More than three million boys and girls will participate this year. The Elks “Hoop Shoot” highlights the Elks commitment to America’s youth. From the millions of youngsters who participate and advance through local, district, state and regional competition, six national champions are named — one boy and one girl in each of three categories: ages 8-9, 10-11 and 12-13. The winners each receive a trophy and their names are inscribed on a plaque at the Naismith Memorial Basketball Hall of Fame in Springfield, Massachusetts. Parents accompany contestants throughout the competition. The parents of finalists at the state, regional and national levels attend the competitions as guests of the Elks. The Elks desire, through their “Hoop Shoot” program, to provide an interesting, character-building, competitive program for all girls and boys in the contest regardless of their previous athletic competition or abilities. This nationwide, sanctioned program gives these youngsters an opportunity for spirited competition, fine relationships with their peers, and travel statewide, regionally and nationally — at minimal expense to their parents or school. Not only are the participants involved in this wholesome, individual-effort program, but parents, classmates, teachers and community are included. Order basketballs, soccer balls, t-shirts, medallions or squeeze balls directly from the manufacturer! Download the order form. For more information on the Hoop Shoot program, please visit to the Grand Lodge Hoop Shoot page.